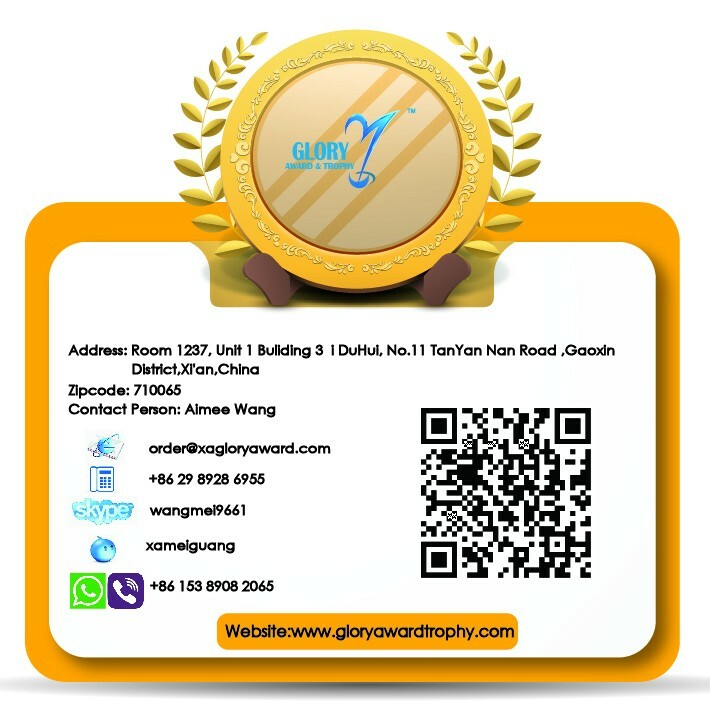 Glory Award & Trophy is one of the eminent manufacturers, wholesalers and traders of arts & crafts. 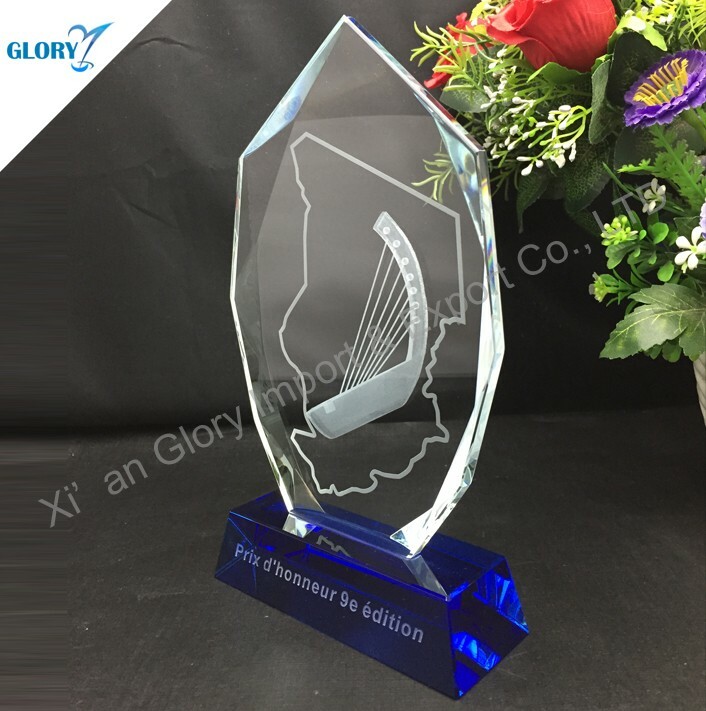 Our main products are glass / crystal / metal / resin / acrylic / wood awards, trophies and souvenir gifts. Our crafts with modern and artistic designs in varied sizes, colors and patterns comply with the specifications request by customers. Besides, our skilled designers and craftsmen pay great attention to each process of production in order to deliver perfect end products. 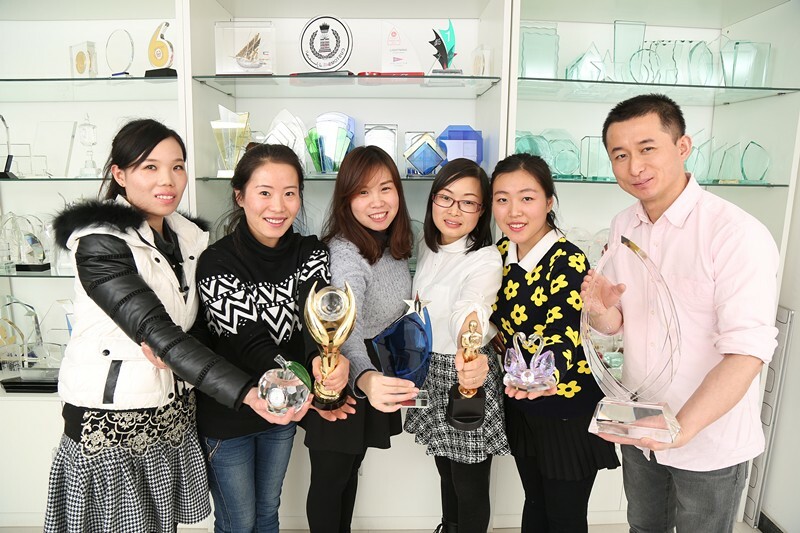 More than 9 years service experiences on award and trophy, cooperation with more than 1200 customer (58 country).We were built on the foundation of trust and customer satisfaction. 4. 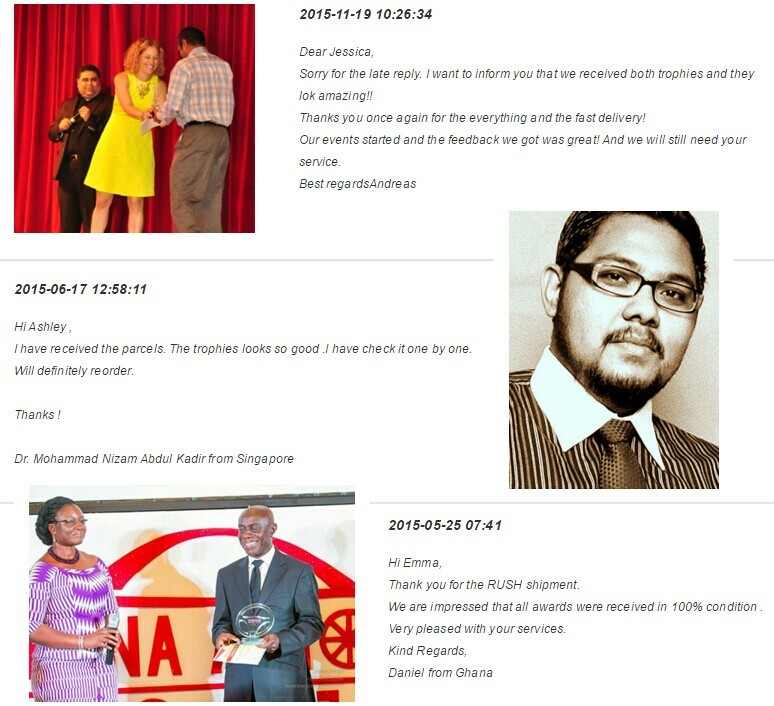 Professional and efficient service. 5. After-sale Customer service assurance. Q : What 's MOQ? 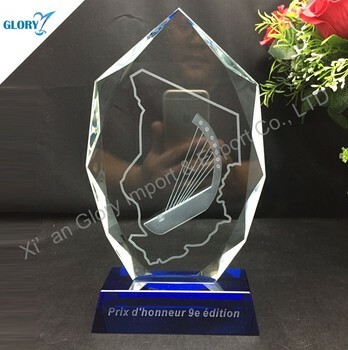 A : MOQ is 50 pcs for Custom Crystal Award 3D Trophy for Souvenir. NO MOQ of stock design , pls contact us if needed . Q : Engraved letter or logo ? A : It can be done by sandblasting /laser/color printing as your request . Q : Custom design can be done ? A : Yes, it can be done ,pls advise details information . Q : How about packing? A : It will be coming with white box ,paper gift box or velvet box as your wanted. Q : How about payment? A : T/T, Western Union, Money Gram , Pay pal. Q : What’s the lead time ? 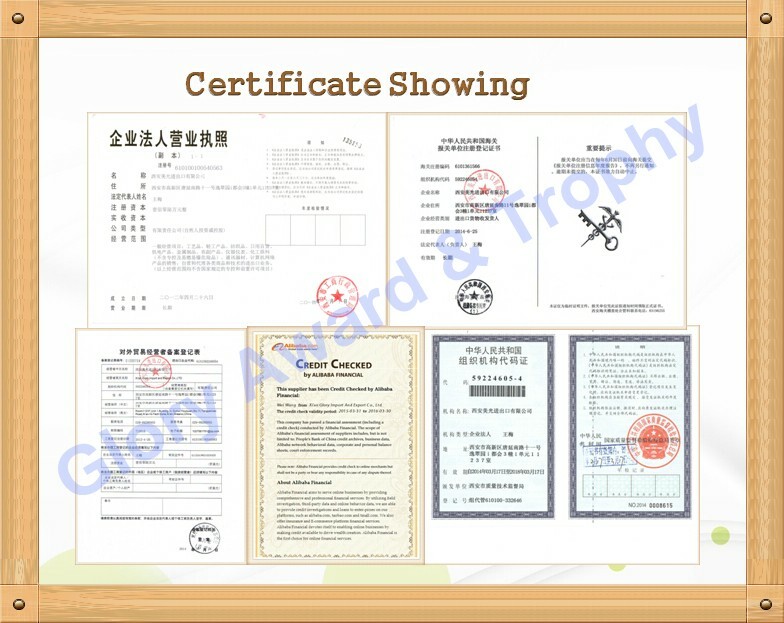 Lead time for bulk order :10-30days, it will be depend on quantity of order. Q : What’s guarantee ? 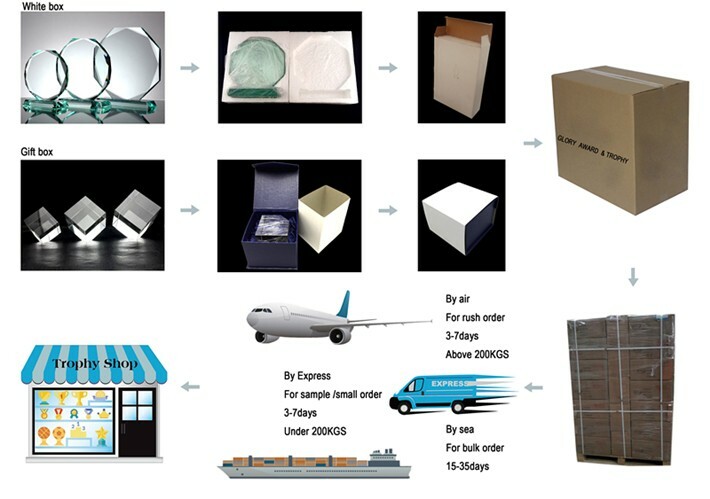 A : If Custom Crystal Award 3D Trophy for Souvenir were broken during transportation, it will be replace .